Regardless of their theological beliefs, churches struggle with some common issues. Of these, one of the most surprising to me has to do with the future of Sunday schools. No one lacks commitment to educate children and youth in the faith. However, more and more congregations are questioning whether a traditional Sunday school is the way to do it. Leaders express their concerns about Sunday school with a certain amount of guilt. “Do you know other congregations that are struggling to keep their Sunday school alive? Do you know of any who are going so far as to consider ending Sunday school?” When I respond “Yes!” I hear a sigh of relief. Different dates are offered as to when Sunday schools began in the United States, but most historians agree that they are approximately 200 years old. I find the dating important because those two centuries represent approximately 10 percent of Christian history. For 90 percent of Christian history, churches were educating their children and youth in some manner or another that was not what we consider today a “traditional Sunday school.” Is it possible that we will increasingly be educating our kids without a Sunday school for the next 1800 years of Christian history? The reasons congregations are struggling with Sunday school is sometimes related to size and the age of the congregation. When I first went to Washington, D.C.’s Western Presbyterian Church in 1983, there was no Sunday school or nursery because almost everyone was over the age of 60. Many congregations today have similar demographics, leaning heavily toward the oldest generations. Even when there are some kids in the congregation, the number may be so small as to make it challenging to develop an organized Sunday school. A not unusual situation today is a congregation of 250 with 20 kids. If half of them show up on any given Sunday (and that would be a pretty good showing), they only have ten kids, who may range from toddlers to middle school. How does one develop a Sunday school with those kinds of numbers and ages? What is causing the growing discussion about whether or not Sunday Schools should continue? It relates to the same forces that impact Sunday morning worship attendance. Sunday morning is filled with interesting things to do. Many people are choosing to do something other than come to worship. As a result, we see a growing number of congregations offering worship at times and days in addition to Sunday morning. Trying to create and staff a Sunday school for different days and times just complicates an already challenging task. Educating our children and youth is not synonymous with a Sunday school program. There are many ways to educate our kids. Sticking with a model that clearly isn’t working will hinder, not help, us to reach our goal of teaching the faith to younger generations. Most Sunday schools rely on a classroom model of educating that may not be the best way to reach our kids today. The use of and comfort level with cell phones, tablets and computers may lead us to new, better ways to teach the faith than a uniform curriculum used in classrooms. The risks of saying, “We are going to try something other than Sunday school” are real. Pastors and lay leaders can be caricatured as abandoning children and youth. This creates the need for denominational conversations so a congregation eliminating traditional Sunday school won’t appear to be an outlier. Will Sunday schools survive the first quarter of the 21st century? Only time will tell. The more important question is: How will our generation teach the faith to our children and youth? Almost everyone dreads the annual performance review that remains a ritual in most congregations. The employee wonders if it will be fair. If the pastor performs reviews of staff, she or he wonders if the results will be toxic for the relationship with the staff member. Pastors tell me about problems finding members qualified to perform an annual performance review of the pastor. After all, most members are not closely enough involved in the work of their pastor to perform an informed review. So the thought of annual reviews is not something that warms our hearts! Despite all of our legitimate fears and trepidation about annual performance reviews, we do them—religiously. Some denominations, like my own Presbyterian Church, U.S.A., require an annual review of the pastor. Other reviews take place because of traditions or policies within particular congregations. Some congregations do them just because everyone else does them. I have written about this subject before. I write about it again today because, given the dissatisfaction with these processes, there are now clear signs that more and more well-run organizations are doing away with annual performance reviews. The latest to eliminate them isAccenture, one of the largest companies in the world. Accenture is noteworthy because its product is helping other companies become more efficient and effective in organizational practices. In March, Deloitte, another major company that helps companies be more effective by using best practices, announced that it is doing away with employee ranking and performance reviews. 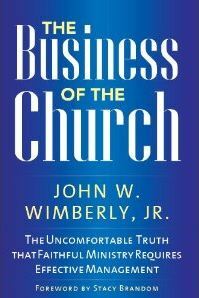 Will congregations, once again, be the last entity to embrace positive trends in organizational behavior? Or will we read the literature and begin to change our ways? Obviously, I hope it is the latter. To me, the primary reason that annual performance reviews fail is their focus on individual performance. In my consulting work, it isn’t unusual for a congregation to explain that they have gone through multiple Christian educators without realizing their goal of improving the quality of their Christian education program. While they may have made bad hiring decisions, it is as likely that the problem isn’t in the individual educator but in the internal dynamics of the education ministry. A second reason annual performance reviews don’t work is a lack of willpower to enforce the results. Congregations typically will tell a pastor or other staff member to do this or that during the course of an annual review. When “this or that” doesn’t happen during the next year, the people doing the annual performance review rarely even comment on failures to perform on stated goals. Congregations are not alone in this failure to hold people accountable. A recent poll of the federal government agencies revealed that, “Perhaps the most startling finding was that 70 percent of respondents felt that underperforming non-managers were rarely or never dismissed or reassigned. And 64 percent felt action was rarely or never taken for underperforming managers, either.” Annual reviews are painful rituals with little observable impact on performance. So if we drop annual performance reviews, what do we put in their place? First, we focus on the performance of the congregation, not the performance of individuals or committees. As we do so, staff will be viewed through a different, larger lens. It becomes less personal and more about the congregation accomplishing its mission. Of course, if dysfunctional staff can’t improve their performance in helping the system to accomplish its goals, they will need to improve or move on. But the issue will be the performance of the congregation in meetings its goal, not a staff member per se. Second, we trust the people we hire. Accenture CEO Pierre Nanterme says, “The art of leadership is not to spend your time measuring, evaluating. It’s all about selecting the person. And if you believe you selected the right person, then you give that person the freedom, the authority, the delegation to innovate and to lead with some very simple measure.” He says the old system of individual performance reviews is focused on performance in the past while he wants to position his employees to do well going forward. I would add that the old system is rooted in control while newer management systems are working to unleash individual and group creativity. In a performance-driven congregation, the head of staff and governing body will focus on whether or not the congregation is accomplishing its stated goals (Hopefully, there are stated goals.). This focus won’t be on once-a-year reviews. It will happen every day, week, and month. Heads of staff will continually coach staff, boards, committees and teams. A key part of coaching is ongoing evaluation of where performance can be improved. I am confident that Jesus didn’t do annual performance reviews of his individual disciples. Instead, as they gathered every night for dinner after a long day of work, my guess is that Jesus asked, “How are we doing? Did we make progress today on the things we want to achieve? If not, why not? James, how is your work going? What do you need from the rest of us to make it happen?” It is an exhausting process to monitor performance every day. However, I just don’t see any other way to do it. I am convinced that annual performance reviews have failed to increase our ability to do the ministry we are called by God to perform. We can’t evaluate performance once a year. We need to evaluate it daily. When a congregational board sits down to make decisions, what if we think a bit differently about the participants? Let’s forget their names for a moment and view them as individuals who view the world from the perspective of the sub-cultures in which they work and live. Instead of recognizing Jane to speak, we would think to ourselves, “Let’s hear a word from the lawyer.” As the discussion progressed, we would hear from the plumber, academic, farmer, medical doctor and school teacher. Such an approach recognizes that, in addition to being part of our congregation’s culture, board members come from secular vocational cultures that consume much of their daily lives. These vocational subcultures have their own values, ethics and worldviews. These sub-cultures become visible when, from time to time, someone violates the underlying ethics and values of, say, the legal or medical profession. These powerful subcultures are brought into every congregational board meeting, influencing the way board members view and decide upon the issues before them. My father was pastor of a congregation outside Detroit, Michigan in the 1940s and 1950s where the membership was primarily blue-collar workers and executives from automotive-related industries in town. He then moved to being pastor of a congregation in Madison, Wisconsin, a city dominated by state government and university academic-types. He told me that when he was in Michigan, he would bring an idea to his leaders; they would debate the matter; and then vote on it. This was the way they made decisions in their workplaces. Up or down, yes or no. In Madison, when he brought an idea to his board they would debate it for a while and then create a special committee to study the matter. A year later or so, they would report back their findings. My Dad said, “By the time they came back with a recommendation, it usually was either no longer timely or we had lost the passion around the idea.” The moment for decision-making had passed without a decision. It was a classic government and academia model of decision-making. In both Michigan and Wisconsin, the culture of the congregation was deeply penetrated and influenced by the vocational sub-cultures decision-makers brought to the governing board. I was reminded of the importance of this reality while re-reading Edgar Schein’s classic work on organizational culture, Organizational Culture and Leadership. Schein, professor emeritus of management at MIT, is an organizational psychologist who almost created the field. He helps readers understand how cultures work. I think some of his teaching assistants helped him update the recent edition with helpful insights from the 21st century. As Schein worked with corporations, he began to see that cultures outside the organizational culture oftentimes had a defining impact on the workplace. Focused on the company’s culture, he initially failed to see the influence of the external sub-cultures on its decision-making. Describing a company dominated by engineers, Schein talks about their infatuation with the ingenuous things they created. The engineering culture celebrates those who create amazing contraptions, whether it be a space vehicle or an iPhone, but–crucially–ignoring whether it is marketable or not. The problem for this particular company was that many of these brilliant contraptions were not marketable. Because of the engineering subculture they brought to the company, the engineers failed to appreciate the need for keen market analysis which might indicate whether a particular invention, no matter how brilliant, would sell. To help the company change its culture, Schein had to learn to think and talk in terms engineers would appreciate. The company needed to create a culture that not only appreciated ingenuity but utility; not just the power of imagination but the power of marketing. So it can be with the congregational board members sitting around a table. They can be more focused on values flowing from their workplaces than the purpose of the congregation. Let’s imagine that they are considering a major renovation project for the congregation’s facilities. Every board member acknowledges that the building sorely needs to be renovated. However, they differ as to how and whether to proceed. The attorneys on the board will probably want to be sure that the “case” to renovate is a convincing argument. The teachers may be focused on how it impacts the congregation (students). The nurses will want to know if everyone’s input is being taken seriously and valued (the input of nurses is too often discounted in a hospital). The farmer may want a patient approach, arguing that not everything has to be accomplished in one season. You get the idea. 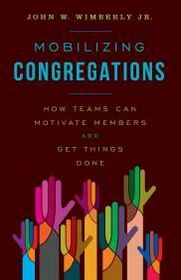 Much of the literature I read about congregations focuses almost exclusively on the culture of the congregation itself. If Schein is correct, and many of us believe he is, then we need to be spending much more time analyzing how the various sub-cultures we bring to our congregations is impacting our decision-making. I have focused on the impact of vocational sub-cultures. We also need to consider the impact of sub-cultures that relate race, ethnicity, gender, geographic regions, among many others. When I was in my mid-thirties, I was moderator of a synod whose membership was majority southern. As a classic Yankee, I preferred fast talk and even faster decision-making. I couldn’t understand the push-back I was getting from some of the Synod’s leadership council. Finally, a wise old Southern woman pulled me aside and said, “John, we just don’t think that fast down here. You need to slow down.” With humor and grace, she taught me the importance of regional sub-culture. As we consider changing the cultures of our congregations, what sub-cultures are present in the congregation and its leadership that need to be considered with special care? Schein teaches us that we fail to analyze organizational sub-cultures at our own risk. This post can also be found at www.congregationalconsulting.org where my consulting colleagues and I write weekly articles. Please subscribe to our growing list! When I told the pastor that I wanted to use some of my time at his staff retreat to discuss performance, he responded (with a smile), “Performance is a word we don’t use in our denomination.” With a similar smile, I replied, “Not to worry, we don’t use it in my denomination either.” While we were joking, we were also serious. Performance is a subject that is avoided in too many congregations. Whether it be the performance of the congregational system as whole, parts of the system such as committees or teams, or individual staff members, performance is not a topic we embrace in most congregations. Yes, many congregations have a system of annual performance reviews. However, even many of those tend to be seemingly unrelated to performance. Following a performance review, under–performing staffers continue to be employed; high performing staffers aren’t rewarded (monetary reward is probably the least important of the rewards a congregation can give an excellent staff person); average performers aren’t coached to improve. What is our aversion to focusing on performance in the life of a congregation? I think some of it has to do with bad theology. Christian congregations can take Jesus’ words about “judge not lest you be judged” and let under-performing staffers, volunteers or committees continue to under-perform, unwilling to “judge” them. In contrast to such fear of judging, Jesus had no problem questioning the performance of his team. Numerous times, he called out the disciples for misunderstanding or not doing what he expected of them. A corollary is found in Moses who repeatedly questioned the performance of his congregation as he led them to the Promised Land. Second, another part of our aversion to performance has to do with fear of conflict. We want our congregations to be warm, loving, safe places. There is nothing wrong with that sentiment. However when a love of harmony produces a fear of raising performance issues, it becomes unhealthy. Isn’t performance a factor in a loving family? In a healthy family, don’t we have expectations of what we will do and how we will relate to each other? My parents were certainly very clear about my performance when it was less than what they expected! There is nothing wrong with performance standards in a family. Third, when we do address performance, the discussion usually focuses on underperforming staff members or committees/teams. Why? When that happens, we are sending high performing people and groups the wrong message: “If you don’t perform, you’ll get attention. If you do perform, we’ll ignore you.” One reason to focus on performance is to celebrate the accomplishments of high performing staff members, committees and teams. Fourth, as someone who analyzes the behavior of congregations as systems, I urge my clients to stop focusing obsessively on the low performance of one part of the system. Think instead of the larger system. Is it performing? If not, why not? The underperformance of a system is usually not caused by one individual part. It is something, well, more systemic. How many congregations have we seen futilely change pastors, rabbis, educators or music directors in search of improved congregational performance? While it may very well be that a congregation needs a new staff person in some area, it is just as likely, perhaps more likely, that the congregation has systemic issues that are undermining its performance. We can replace parts of the system all day and all night. But if it is a systems issue, a new part will not be any more effective than the old part in creating a solution. Take the example of the D.C. Public School system. The vast majority of teachers in D.C. rightly receive high performance evaluations. And yet the system as a whole continues to struggle to meet its targeted performance measurements. There is something in the system that undermines the performance of the individual parts. Hopefully, one day school leadership will stop firing teachers and principals in search of improved performance and, instead, fix the systemic issues. Ultimately, the key to strong performance is accountability. In worship, we preach about the fact that God holds us accountable for the way we lead our lives. Does that message not also apply to the life of our congregations? Are we willing to hold ourselves and others in our congregations accountable for our/their performance? Are we willing to have the tough conversations that are required to improve performance? Can we celebrate our accomplishments when we perform at high levels? With all this talk of performance and accountability, you may be surprised to know that I do not consider annual performance evaluations to be terribly effective in increasing a congregation’s or staff member’s performance. UCLA Management professor Samuel Culbert has written a compelling book in which he is highly critical of performance reviews as a tool to improve performance in an organization. A summary of the book can be found in Culbert’s The Wall Street Journal article at http://online.wsj.com/news/articles/SB122426318874844933 In it, Culbert argues not just against annual performance reviews; he argues in favor of ongoing attention to performance. The key, he says, to improved performance by members of a staff team is to “guide, coach, tutor, provide oversight and generally do whatever is required to assist a (staff person) to perform successfully.” Culbert recommends that we improve performance on the go. To me, it sounds a lot like Moses leading the people across the desert or Jesus leading his disciples to this day. If we can make performance of our congregations (as a system) a driving agenda rather than a dirty word, a lot of nagging things that hinder our effectiveness will disappear. God is judging our performance. Dare we do anything less in our congregations?